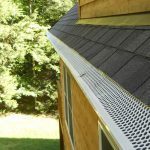 Resources > Roofing & Gutters > How Durable Is My Asphalt Shingle Roof? 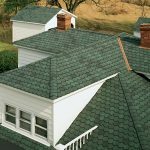 How Durable Is My Asphalt Shingle Roof? 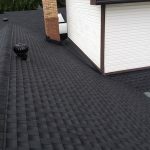 Asphalt shingle roofing is one of the most durable and cost effective roofing materials on the market. 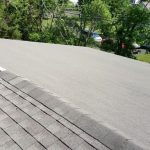 Furthermore, because it is so easy and quick to install (an average size asphalt shingle roof can be torn down and re-roofed by an experienced crew in a few days), choosing asphalt shingle roofing over other materials also significantly reduces the labor costs of roofing installation. Not all asphalt shingles are equal, however, so it’s wise to read up on asphalt shingles to make sure you get a fair deal before you sign the contract. While low price is one of the primary determining factors when it comes to choosing asphalt shingles, you should never choose the cheapest shingles your roofing contractor offers you. 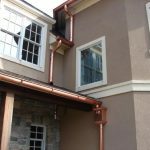 Cheap materials aren’t built to hold up well to sun exposure, rapid temperature changes, high winds, or extreme weather events like hail storms. Pay a little extra, however, and your roof will hold up to all of the above and more. For example, there is asphalt shingle roofing on the market with class IV hail ratings. That puts it up there with concrete tile and metal roofs when it comes to toughness and durability! 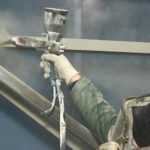 Besides paying extra for a quality product, it’s also wise to shell out a little more for a roof with a longer guarantee. 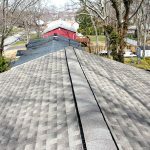 Asphalt shingle roofs usually come with guarantees of 20 to 50 years, and you can pretty much count on your roof failing soon after, or even slightly before, that guarantee expires. That being the case, it’s usually worth the money to invest in a longer guarantee up front, rather than having to buy an entirely new roof again right after a shorter warranty expires. Most asphalt shingle roofs fall into one of three categories. 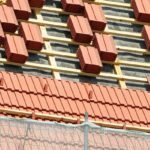 Three tab shingles roofing is the simplest style out there. It’s composed of overlapping strips or sheets of rectangular asphalt tiles. These shingles are the least expensive, and plain, shingles you can purchase, and are perfect if you need quality shingles on a budget. Dimensional shingles cost a little bit more than standard three tab shingles, primarily because they look better once installed. They come in more shapes than rectangular, and the wider color variations combined with a faux “shadow” at the top of the shingle adds depth to these shingles and to your home’s roof. Interlocking shingles are installed one shingle at a time, and interlock together to provide outstanding resistance to high winds and other extreme weather events. 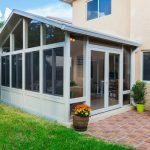 They are an excellent choice for those living in areas that experience harsh weather, such as Tornado Alley in the Midwest, and the hurricane prone Gulf Coast. Need to find a pro for your Asphalt Shingle Roof Project? Asphalt shingles can be installed by a homeowner, though keep in mind your roof is your home’s most important defense against the elements. For that reason alone, it’s not a bad idea to have a professional roofing company install your new roof. If you do hire out the job, keep these things in mind. Get at least 3 bids on your job so you can be sure to get the best deal, read over the warranty terms carefully, and never sign any contract unless you’re completely satisfied and understand the terms of the agreement. There are dishonest roofing contractors out there, so it’s very important that you cover your bases before you make such a huge commitment. Follow that advice, however, and you’ll have new asphalt shingle roofing that will protect you and yours for years into the future.